Prints up to 36 ppm* in black Generates documents quickly. Laser printers are best for high-volume printing They handle large volumes quickly and at a low cost per page. Toner (powder) is used instead of ink, so you get smudge-free images and text. Wireless and mobile printing capability Connect this printer to your home or office network with built-in Ethernet or wireless LAN. 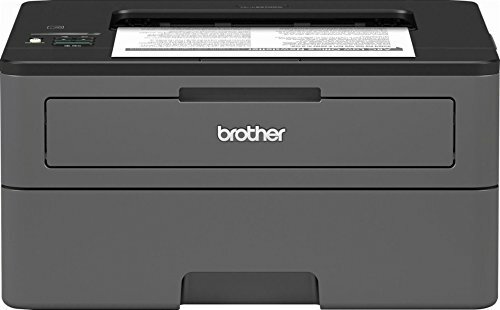 Plus, print from your mobile device with the free Brother iPrint&Scan or Apple AirPrint. Up to 2400 x 600 dpi (dots per inch) print resolution Thanks to its high resolution, this printer ensures incredible quality and detail in documents. Large paper trays for high-volume printing and copying Reload less often with a 250-sheet paper tray and 100-sheet output tray. If you have any questions about this product by Brother US, contact us by completing and submitting the form below. If you are looking for a specif part number, please include it with your message.